Tannins are essentially a form of organic waste in the water which may effect the colour of your water. Decaying plants, trees and other organic matter may enter the water lines cause tannins to occur. This reults to your water containing anything from a faint yellow colour to a darker tea-like colour. Additionally, the water may have a bitter or tart aftertaste. Yellow, Orange, Brown or Tea-coloured water. Water Aftertaste, Bitter, Tangy, Musky or Soil-like taste. How do Tannins effect Ultraviolet Sterilization Systems? Ultraviolet Sterilization Systems need to be able to penetrate the water in order to efficiently kill bacteria. This is usually measured in an Ultraviolet Transmittence (UVT) percentage. Tannins negatively effect the UVT as the water dicolouration may be enough to limit the Ultraviolet dosage. This means in some cases tannins may prevent your ultraviolet sterilization system from efficiently eliminating any bacteria in your water. Are There Any Long-term effects or health concerns related to Tannins? Generally speaking, tannins are considered to be more of an aesthetic problem in the water and may not present a direct health concern. The issue arises when tannins occurr with various other water contaminants. 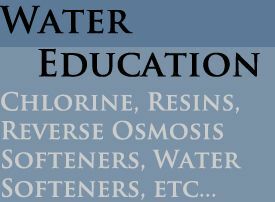 For example, when chlorine is introduced into water which contains tannins, triahlomethanes may also form. Trihalomethanes (THMs) are a by-product of chlorine mixing with water which contains higher amounts of organic matter. THMs may cause a helath concern as they are a suspected carcinogen. The Canadian assembled Purifiner PDTR Tannin Remover will remove tannins from your water with ease. The PDTR colour removers contain an anion exchange resin bed which is used to exchange the slightly negative charge that is present in water containing tannins. This process removes tannins from your water and helps to prevent the potential damage of THMs. Our PDTR are low maintenance as they do not have any prefilters or screens that need to be replaced or cleaned. 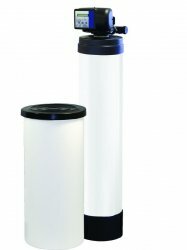 The Canadian assembled Purifiner PDCR Colour Removers/ Water Softeners are a combonation unit that is able to remove tannins and soften your water. The PDCR colour removers contained a mixed bed which also contains water softener resin. As long as your calcium readings are below a certain level, the PDCR is often the most viable option for individuals who experience hard water and tannins. We also offer a Purifiner PDCR-I Colour Remover which is capable of removing a certain level of iron.